Earlier this week, Oath, a subsidiary of Verizon, quietly tweaked its policies to expand its ability to serve up targeted ads. The change, spotted by Jason Kint of Digital Content Next, was confirmed by Oath to CNET. Oath provides even more detail about just how far it can probe into a user’s communications, stating that it can analyze content including “emails, instant messages, posts photos, attachments, and other communications.” It even notes that it can collect Exchangeable Image File Format (EXIF) data from images uploaded by the user—information that can be used to identify everything from the date and time a photo was taken to the geolocation associated with an image. The policy also goes out of its way to mention that it can analyze “user content around certain interactions with financial institutions”—though Oath promises that it has an automated system that will strip out any identifying information. These policies are not entirely new to those under the Oath umbrella. The 225 million monthly active users of Yahoo Mail have been exposed to similar scanning procedures for some time. For the millions of people still logging into AOL to check their inbox, this is all new. It’s also totally expected. From the moment Verizon acquired Yahoo in $4.5 billion last year, its intentions were clear. 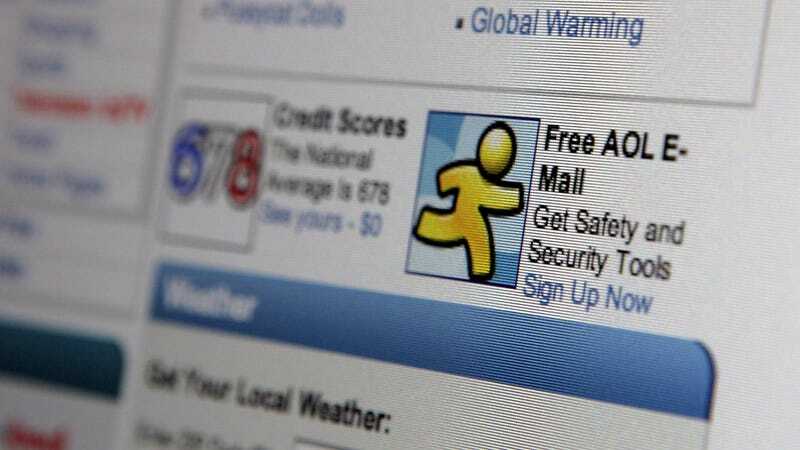 The telecommunications giant had no interest in the beleaguered brand, its many failed acquisitions, or the three billion accounts compromised in massive data breaches. The acquisition was always about online advertising, a $200 billion industry. It is possible to limit some of the invasive practices of this Frankenstein’s monster of old web services. Login to your Yahoo account and visit the Ad Interest Manager or sign in to AOL and choose to opt out of interest-based advertising. It’s not quite a perfect solution, but it’s better than nothing.